Trombonist and downtown NY legend PETER ZUMMO appears in a quintet with bassist Ernie Brooks, and percussionists Mustafa Ahmed, Bill Ruyle, and Danny Tunick. Zummo recently released of Frame Loop (Foom)-- an archival LP of 1984 collaborations with Ruyle, Ahmed, and Arthur Russell. 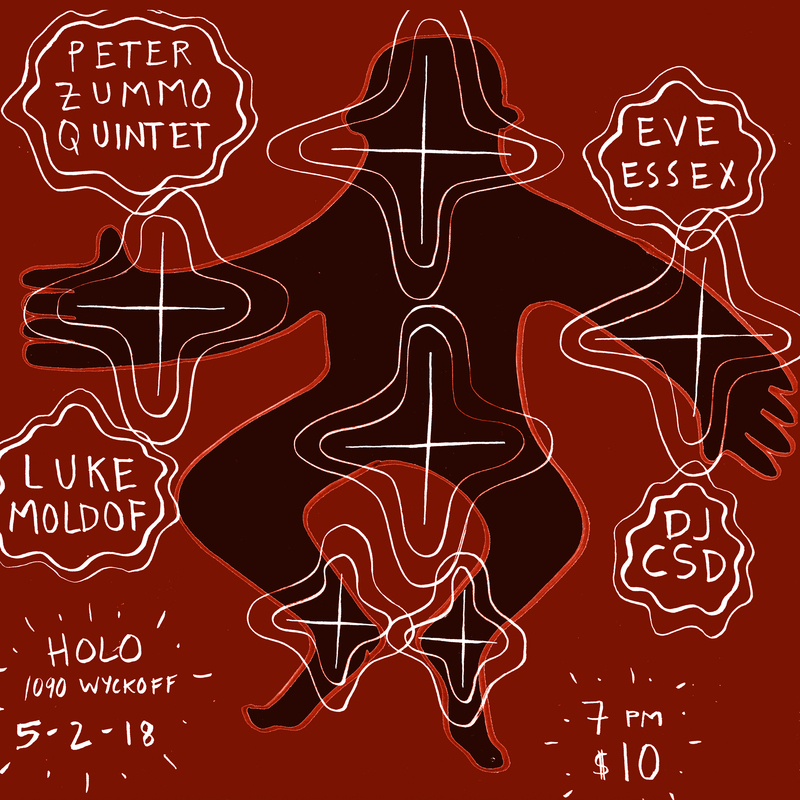 With support from NY experimental musicians EVE ESSEX (Das Audit) and LUKE MOLDOF, who both perform solo sets; DJ CSD (Moira) appears throughout the night.